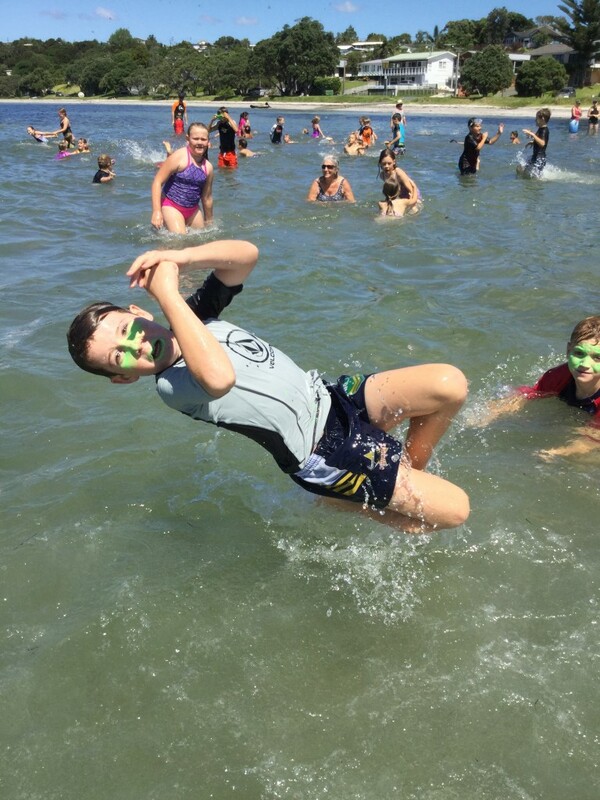 Thanks to Helen Bartrom for this brilliant photo of our WHOLE school in the water. 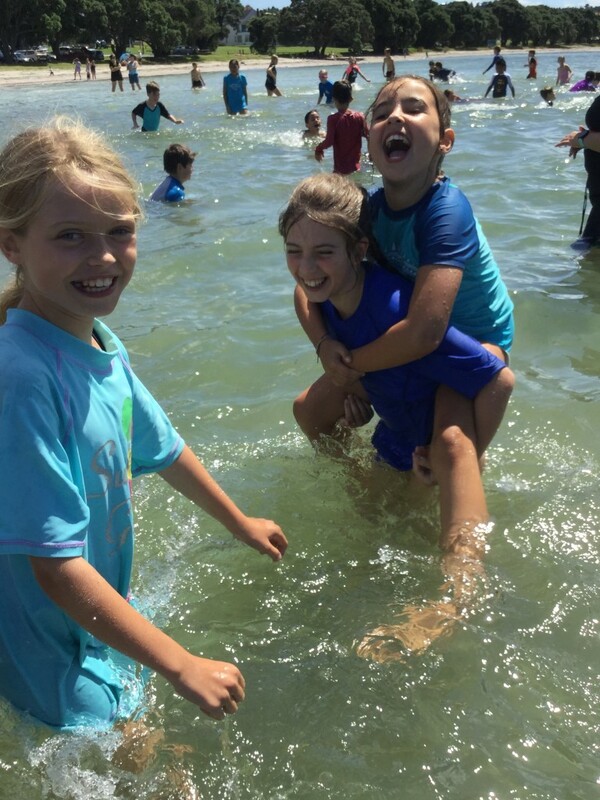 We were blessed with beautiful weather in which to make memories and celebrate this amazing area where we live, on our beach celebration day. 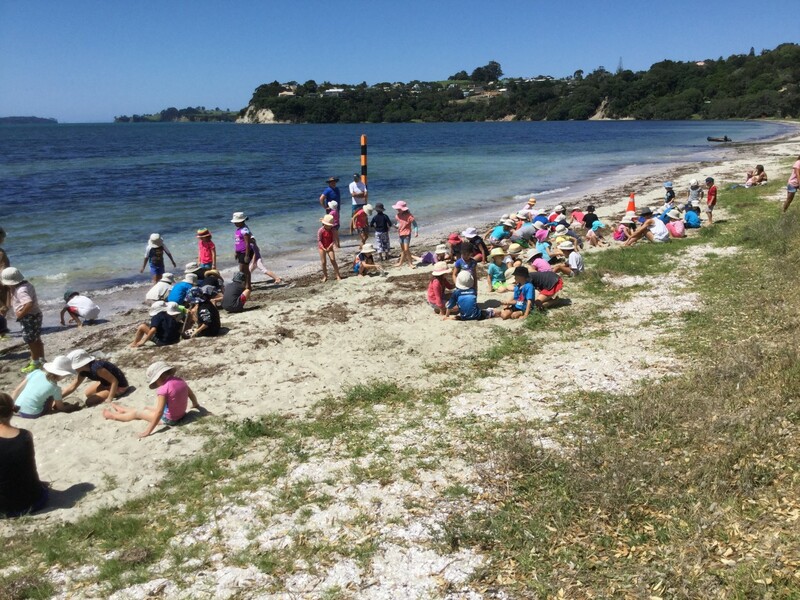 Following our focus this year of “Care for Here” the beach clean up went smoothly, and we were well supported by parents and other volunteers. One of the highlights of the day was how little rubbish there was this year. 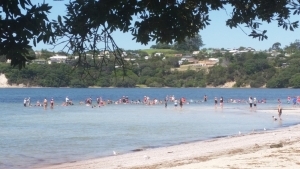 This is fantastic news considering the heavy use Snells Beach gets over the summer period. Following the hard work of the clean up, it was time for a paddle in the water which was almost tropical in temperature. Check out our Facebook page for some photos of the day.